Sanjeev Selvarajah was born in Colombo, Sri Lanka on October 16, 1981. He moved with his mother, Sandra, and his younger brother, Vinoo, at age 7 to join his father, Eswaran, in Boston, Massachusetts. After attending Tiny Tots in Sri Lanka, he attended the Hamilton Elementary School and the St. Columbkille School in Brighton, MA, after which he attended the esteemed Boston Latin Academy. Sanjeev received a full scholarship to Boston University, and later attended UMASS Amherst. He loved writing, literature, film, and music. He had a passion for comic books, superheroes, and Marvel cinema, along with his love for David Bowie and Queen. He was a beautiful writer and often wrote for the Somerville Times, only decades after being a morning paperboy himself. He even published his own novel in 2014, A is for Alchemy, in which his beloved grandfather, Anton Weldt, is a main character. He shared a love for family and religion as a devoted Catholic, who also loved to explore the teachings of Buddhism, Hinduism, and other faiths he valued. He had a remarkable compassion and understanding for those from other cultures and of other values - his kindness knew no bounds. He was so, so proud to be a Weldt and a Selvarajah, often posting old sepia photos of his parents, aunts, uncles, cousins, and grandparents out of adoration. He loved and is loved by many: his mother and favorite person on this earth Sandra; his father Eswaran with whom he shared many interests; his brother Vinoo who he loved so much; his aunt TinTin (Tina) who cared for him throughout; his godsisters Gaya (Natasha) and Michelle; his goddaughter Sandali who he adored, his ever-loving godmother Ajantha, his aunts Marie, Juju, and Mangali; his uncles Godfrey, Clarence, Bernard, Kunalan, Siritharan, Sisu, Sutharshan, and Janaka; his friends Neal and Paula, and many, many more. 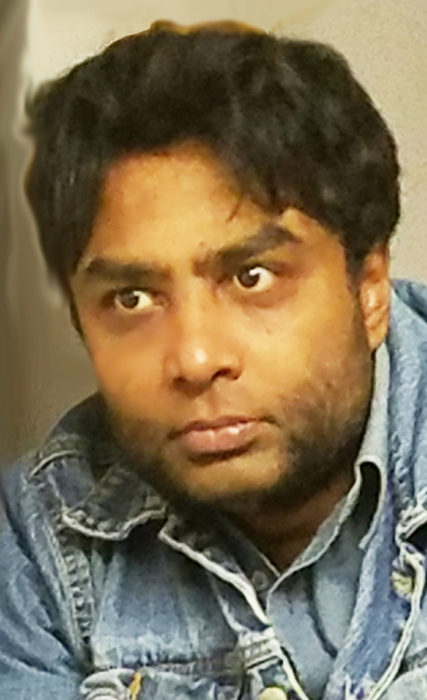 Sanjeev passed on Saturday, April 6, 2019. A Funeral Mass will be held on Thursday, April 11th at 10:30am in St. Columbkille Church, 321 Market St., Brighton.